WASHINGTON (Legal Newsline) - The U.S. Supreme Court ruled Thursday that the federal Fair Housing Act forbids “disparate impact” discrimination. Disparate impact holds that practices in employment, housing or other areas may be considered discriminatory and illegal if they have a disproportionate “adverse impact” on persons in a protected class. 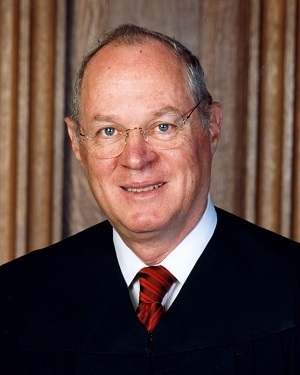 Justice Anthony Kennedy, who wrote the 24-page majority opinion, said minorities who allege racial discrimination don’t have to prove intent to sue under the FHA. Those objecting to zoning, sales or rental practices only need to show they had a disparate impact on minorities, Kennedy wrote. “Much progress remains to be made in our Nation’s continuing struggle against racial isolation,” the justice wrote. “In striving to achieve our ‘historic commitment to creating an integrated society,’ we must remain wary of policies that reduce homeowners to nothing more than their race. But the justice warned that a disparate-impact claim that relies on statistical disparity must fail if the plaintiff cannot point to a defendant’s policy or policies causing that disparity. “The FHA does not decree a particular vision of urban development; and it does not put housing authorities and private developers in a double bind of liability, subject to suit whether they choose to rejuvenate a city core or to promote new low-income housing in suburban communities,” Kennedy wrote. The 5-4 ruling affirms a decision by the U.S. Court of Appeals for the Fifth Circuit that held disparate-impact claims are cognizable under the FHA. The FHA was adopted shortly after the assassination of Dr. Martin Luther King Jr. In 1988, Congress amended the FHA, creating certain exemptions from liability. In Texas, the state Department of Housing and Community Affairs distributes low-income housing tax credits, provided by the federal government, to developers by designated state agencies. The Inclusive Communities Project Inc., or ICP, a Texas-based nonprofit corporation that assists low-income families in obtaining affordable housing, brought a disparate-impact claim under the FHA. The ICP, in its claim, alleged that the department and its officers had caused continued segregated housing patterns by allowing too many tax credits to housing in predominantly black inner-city areas and too few in predominantly white suburban neighborhoods. Relying on statistical evidence, the district court concluded that the ICP had established a prima facie showing of disparate impact and that the department failed to meet its burden to show that there were no less discriminatory alternatives for allocating the tax credits. While the department’s appeal was pending, a regulation was issued interpreting the FHA to encompass disparate-impact liability and establishing a burden-shifting framework for adjudicating such claims. The Fifth Circuit, in turn, held that disparate-impact claims are cognizable under the federal law, but reversed and remanded on the merits, concluding that, in light of the new regulation, the district court had improperly required the department to prove less discriminatory alternatives. The state of Texas, in response, appealed to the Supreme Court to argue that the FHA does not allow lawsuits over disparate impacts. The high court’s more conservative justices -- Clarence Thomas, Samuel Alito, John Roberts and Antonin Scalia -- dissented. “The Fair Housing Act does not create disparate-impact liability, nor do this Court’s precedents,” he wrote. “And today’s decision will have unfortunate consequences for local government, private enterprise, and those living in poverty. Texas Attorney General Ken Paxton said the state “stands strongly against” racial discrimination. However, he said the court’s decision places an “unfair burden” on landlords, lenders and developers, leading them to make decisions based on consideration of race. “The Administration’s interpretation of federal housing law is overreaching and misguided, and I am disappointed with the Supreme Court’s ruling,” Paxton said. But the case is far from over, the attorney general said. Roger Clegg, president and general counsel of the Center for Equal Opportunity, agreed that the court’s decision was a disappointing one. “It fails to follow the clear language of the statute, and it will encourage race-based decision-making in the housing area -- exactly what the Fair Housing Act was meant to prohibit,” he said. Carrie Severino, chief counsel and policy director to the Judicial Crisis Network and former clerk to Thomas, said the ruling now puts state governments in a catch-22 situation. Others were pleased with the court’s ruling, calling it a “welcome relief” for the most vulnerable Americans. “The Supreme Court’s decision ensures that millions of Americans will still be protected from housing discrimination and upholds the important principle that, as a nation, we value the diversity of the communities in which we live,” said Wade Henderson, president and CEO of The Leadership Conference on Civil and Human Rights. “When Americans are denied equal opportunity to housing, they are denied access to good jobs, quality education, safe streets, transit, and a clean and healthy environment, all of which are critical to leading healthy and prosperous lives. Alliance for Justice President Nan Aron agreed.